The SDS is an Automatic Panel Stacker / De-Stacker System, featuring a lifting device that moves back and forth between both sides of a pair of pivoting arms. 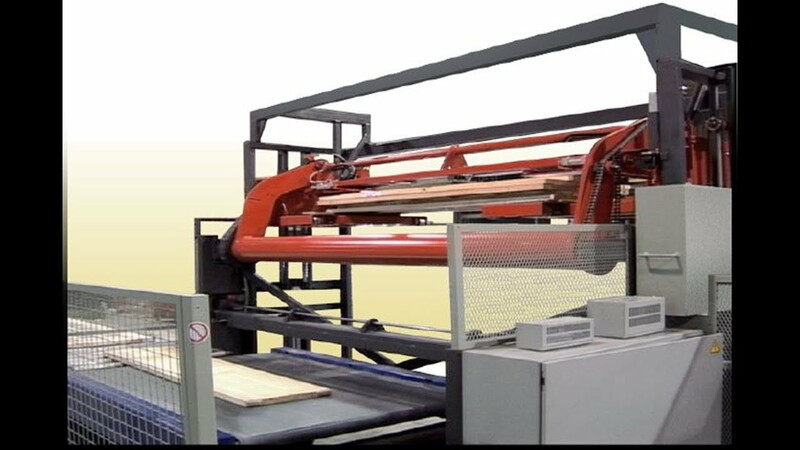 The SDS is an Automatic Panel Stacker/De-Stacker System, featuring a lifting device that moves back and forth between both sides of a pair of pivoting arms. The lifting device can be equipped with self-centering clamps or vacuum pick-up heads, as needed. The pivoting arms are powered by a variable speed 10 HP electric motor. Oscillating between a fixed height plane and a self-levelling elevator, the SDS model is suitable for many stacking and/or de-stacking applications.